Leaving lighters in a hot car is mostly a habit committed by smokers for obvious reasons. The warning listed on the package does warn against leaving them in direct sunlight or heat reaching higher than 120 degrees. How many people actually read the warnings, though? Lighters exposed to this high of heat can cause a small explosion. There are reports of lighters exploding and cracking windshields as well. Be smart and take your lighter with you. It’s a lot easier than the hassle of taking your car to Apple Glass for a Houston windshield repair or a Houston windshield replacement. You may be asking why these two are together on our list. They’re both waxy items, which obviously equates to being things that are easily melted. 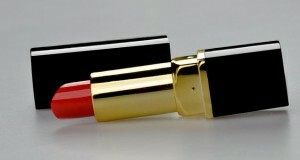 When lipstick is left in the heat, the composition and color are compromised. Not to mention that the oils added to the waxy lipstick make for a nightmare to clean off of upholstery. Every Houstonian knows better than to leave candy in the car, particularly chocolate. Sometimes, chocolate begins to melt before we can even get it into the car from the grocery store. Gum is another offender that can turn into a sticky mess very fast when heat is involved. Our rule of thumb is to never purchase candy unless you’re going home immediately after the purchase or unless you’re able to bring the candy inside with you wherever you go. When heated, soda cans and water bottles can leach toxins from the packaging into the product you’re consuming. On top of it, the metal from an unopened soda mixed with the air packed into the carbonated drink can cause a serious disaster. As the liquid expands from the heat with nowhere to go, the metal expands along with it until it reaches its breaking point and explodes. Water bottles made of plastic can easily melt in the heat as well. If you don’t want a headache of a mess to clean up, do not leave either of these two items in your car. Drugstore, high-end, or prescription glasses should never be left in a hot vehicle. The heat can warp not only the frames but also the lenses, if not completely shatter them. While drugstore glasses may not be a big loss to you, designer and prescription shades are costly to repair or replace. Keep your sunglasses stored in your vehicle’s built-in compartment or on your person. Besides being a generally bad idea to leave electronics in the car for the sake of them being stolen, the heat can also ruin them. If it’s an electronic item running off of batteries, the batteries can actually leak battery acid. This ruins the electronic and possibly harms you if it gets onto your skin or in your eyes. Even if the batteries aren’t the issue, screens, lenses, and memory cards are easily warped in the heat. Some electronics may stop working altogether if they’re left in a hot car. Whether you realize it or not, vehicles get hot fast. Double check your surroundings before hopping out of your vehicle, even if you’re quickly running in and out of somewhere. You’ll save yourself time, money, and possible trips to Apple Glass for a windshield repair by being conscious of what you’re leaving in the car. Mistakes do happen, though, which is why Apple Glass should be on your speed dial in case of an auto glass emergency!